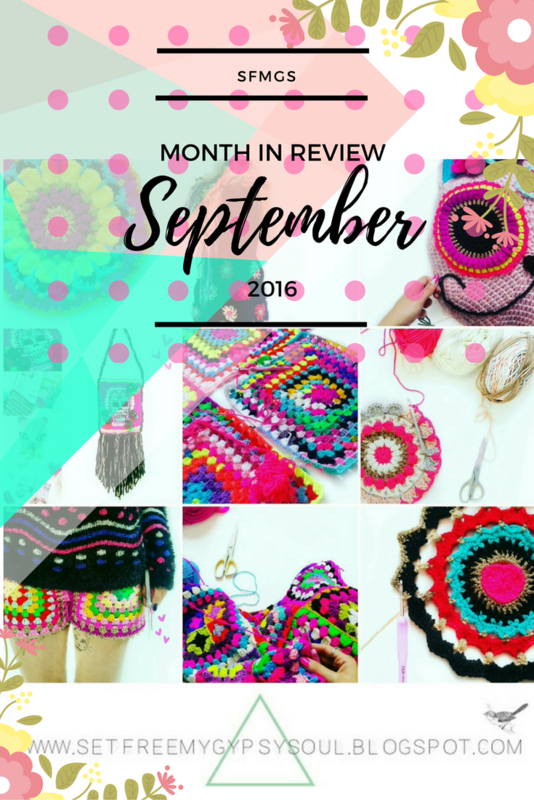 Well September you were an emotional one... but I fought your sadness with ALLLLL the colours!! Yay!! 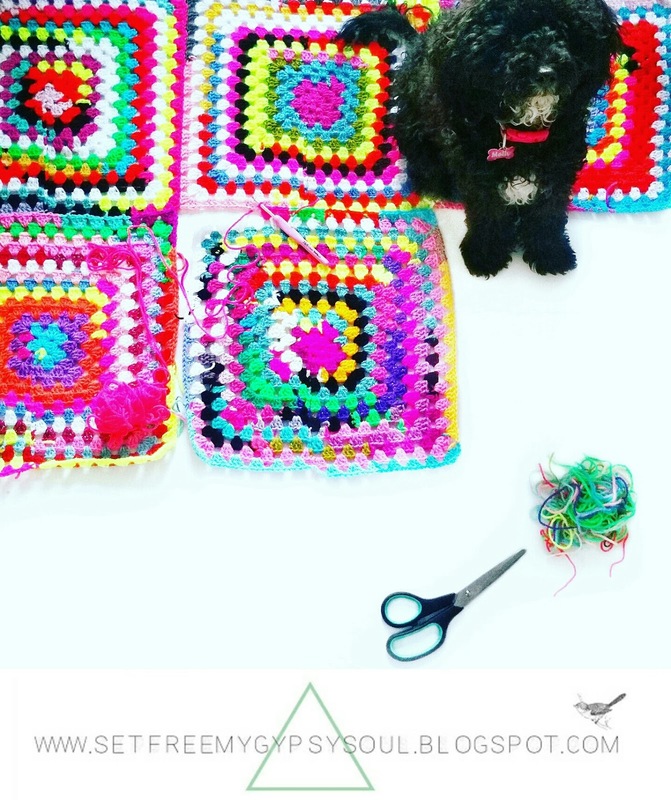 Lots of exciting crochet things have been happening here at SFMGS this month, which has been a welcome distraction from saying Goodbye for Now and Sleep Tight to my beautiful boy, Buzz who crossed the Rainbow Bridge at the grand old age of 16+ this month. You can see his special Love Buzz Sacred Heart Mandala by clicking here. 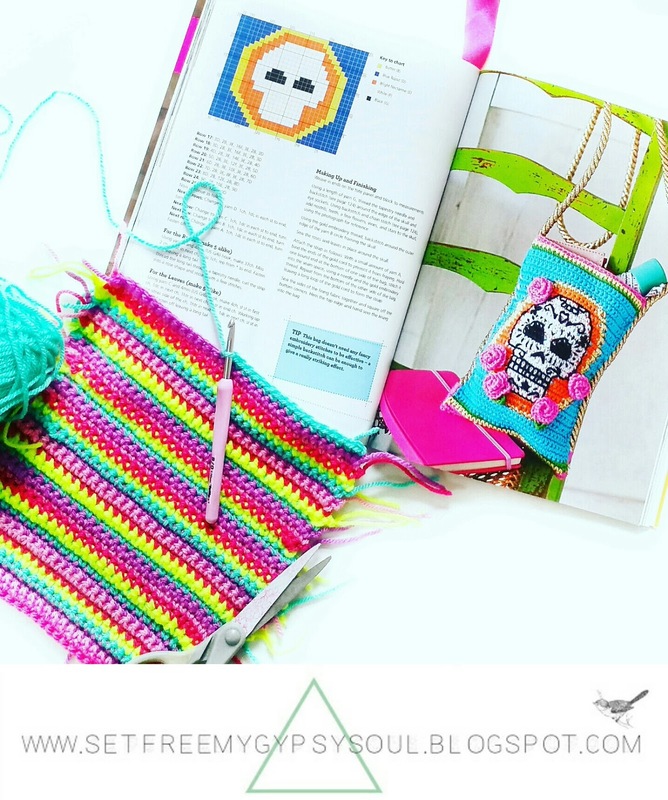 I was also lucky enough to review grogeous Emma +Steel&Stitch Emma Friedlander-Collins brand new and AMAZING crochet pattern book, '35 Crocheted Bags'... see why you NEED his book in your life by clicking here. 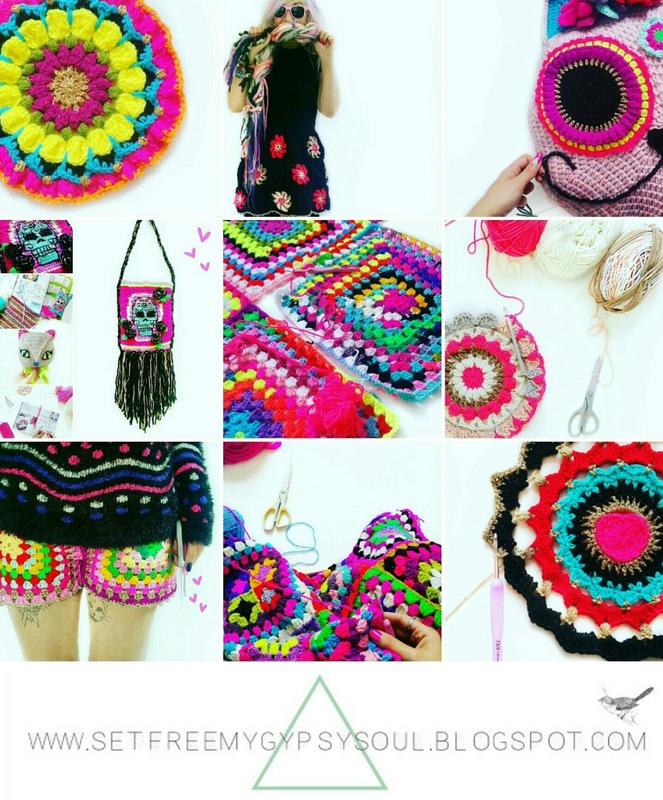 I also had the pleasure of doing a craft swap with one of the most awesome ladies on Insta, who inspired my Daisy Dukes Granny Squares with her STUNNING vintage crochet daisy dresses way back in Spring... Elaine @heydaycrochet. 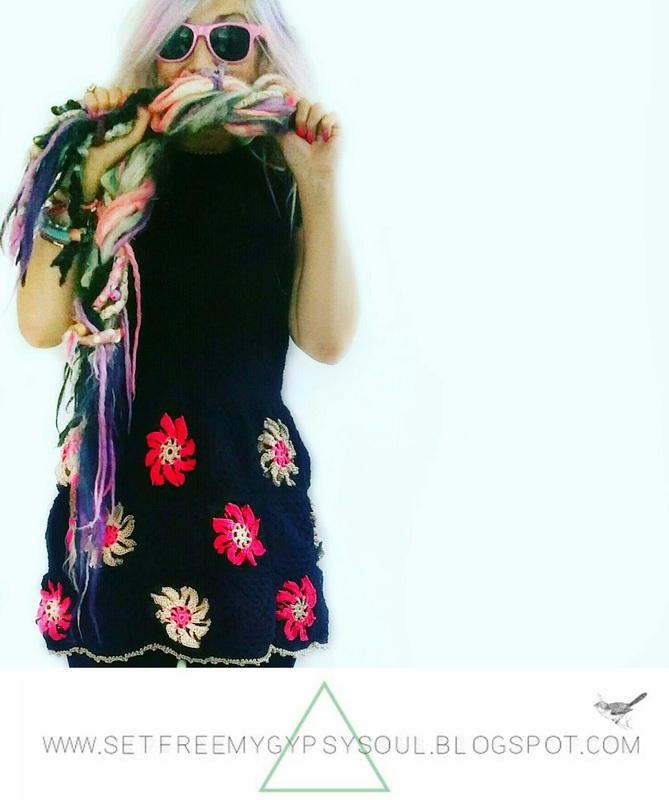 We swapped make for make, and in return for a special purple based Unicorn Poop 349 cardigan, I received this beautiful black, pink and gold cotton crocheted daisy design dress. Elaine has recently opened an Etsy shop here and is making these amazing dresses to order now!!! 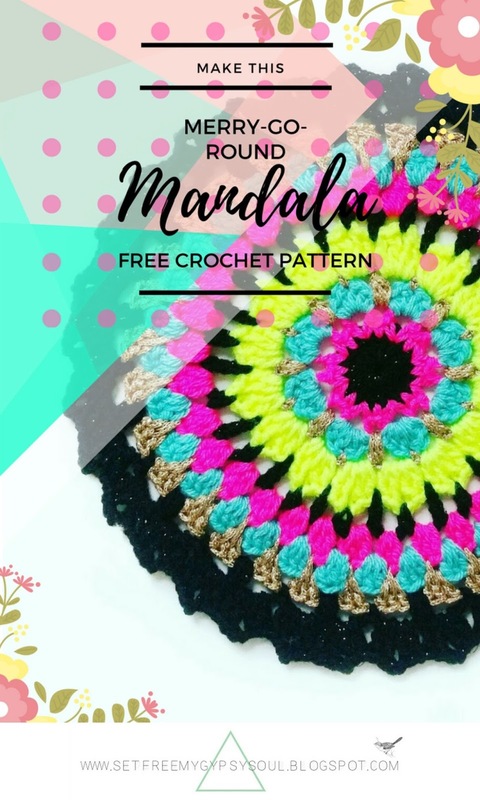 Click here to get yours!! 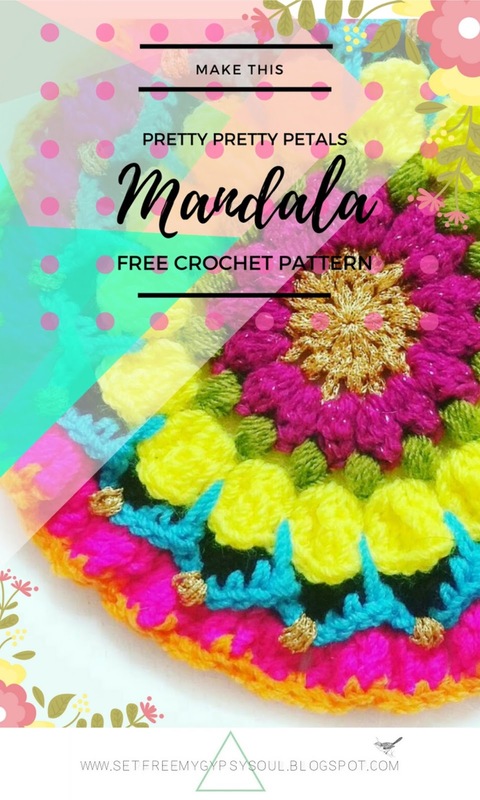 More exciting news... this month, I worked on a new Mandala pattern for +Hobbycraft 's brand new Knitcraft team using their gorgeous new Women's Institute Soft and Chunky yarn! It was SOOOO much fun to make!! 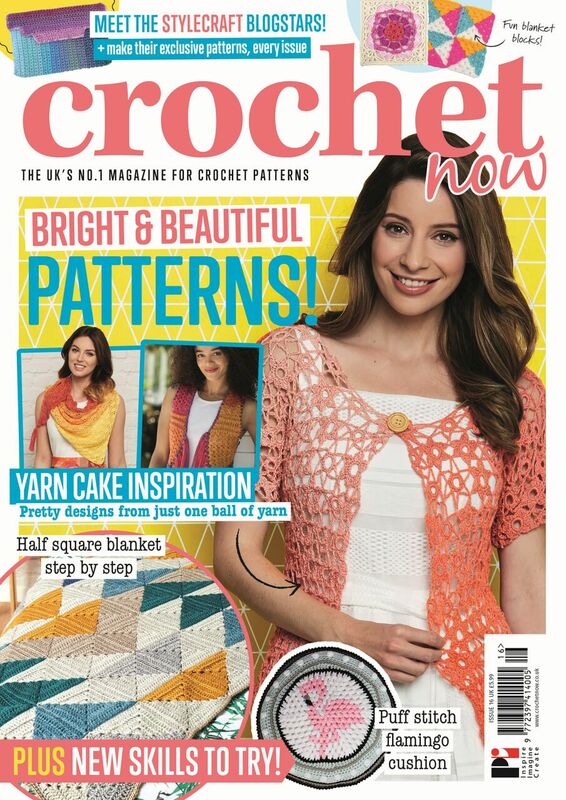 The full pattern will be available this month on the +Hobbycraft website and blog. 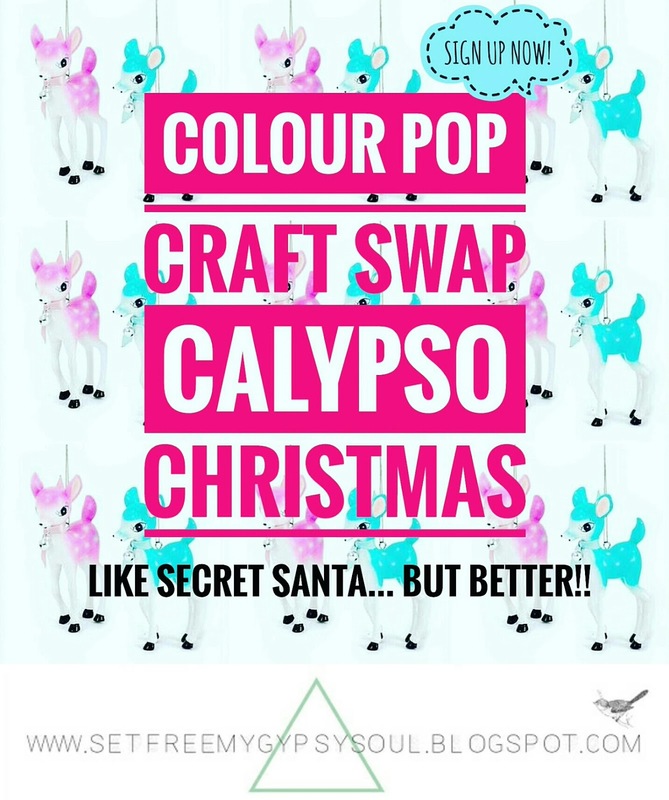 Jenna @quirky_crochet and I also opened sign ups for the next edition of the Colour Pop Craft Swap this month... and had a record breaking number of amazing crafters join in the fun for Calypso Christmas! Over 70 from around the world!! The collages have recently starting popping up on our #colourpopcraftswap tag and WOW...so inspiring and heart warming to see the excitement of all these amazing ladies. 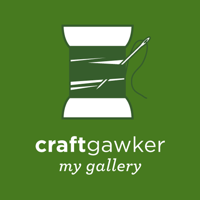 If you'd like to sign -up to be notified when the next edition of the swap opens, click here. 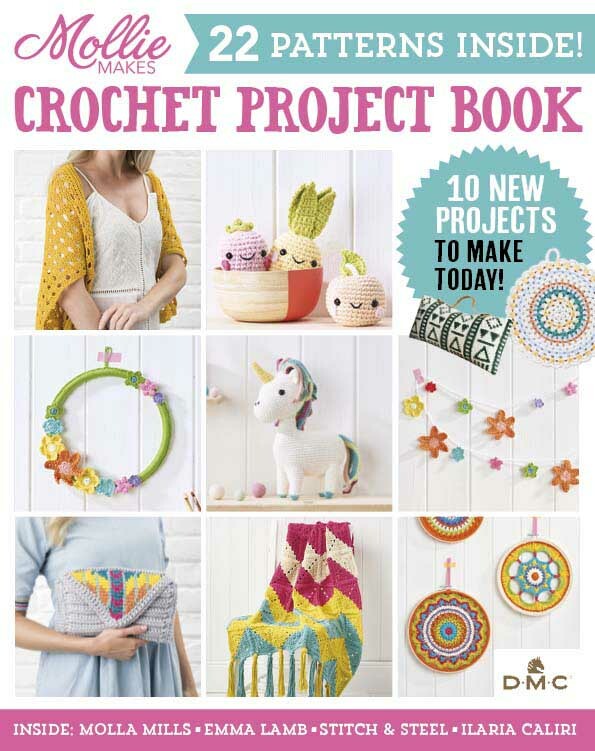 And in other Colour Pop Craft Swap news, the shipping deadline for Bright-o-Ween is upon us! I can't wait to see what everyone has made for eachother. 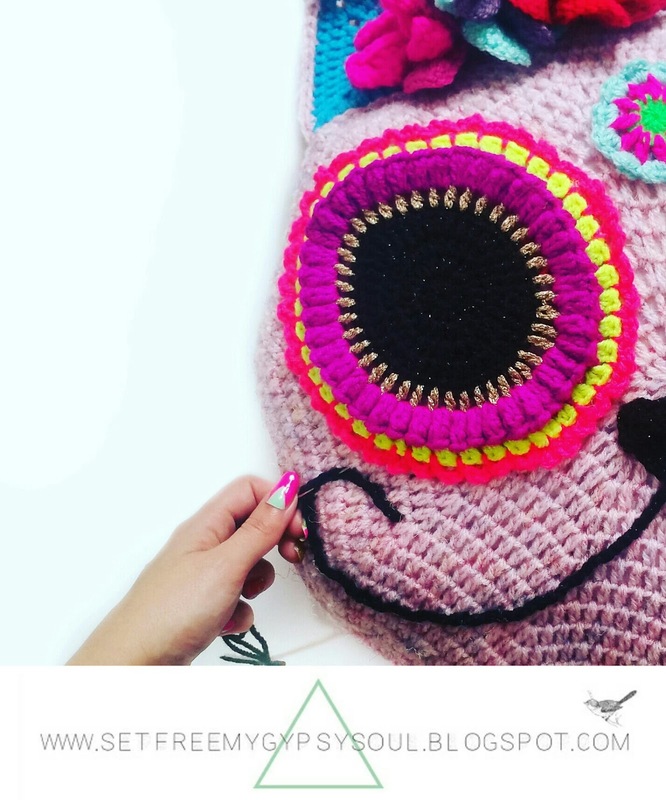 Here's a sneaky peak of one of my makes in progress.. It totally blows my mind to see these gorgeous Queen G Fringe Bags all together like this. 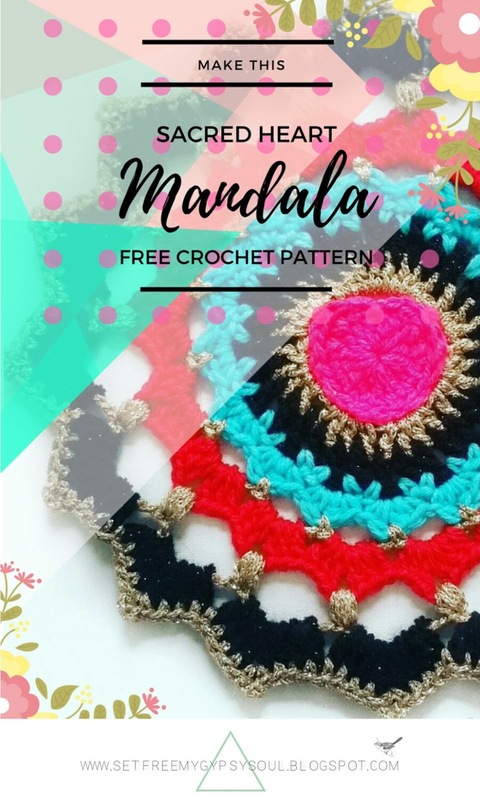 I love the unique touches and colourways each of these ladies have used to express their own creativity and personalities. 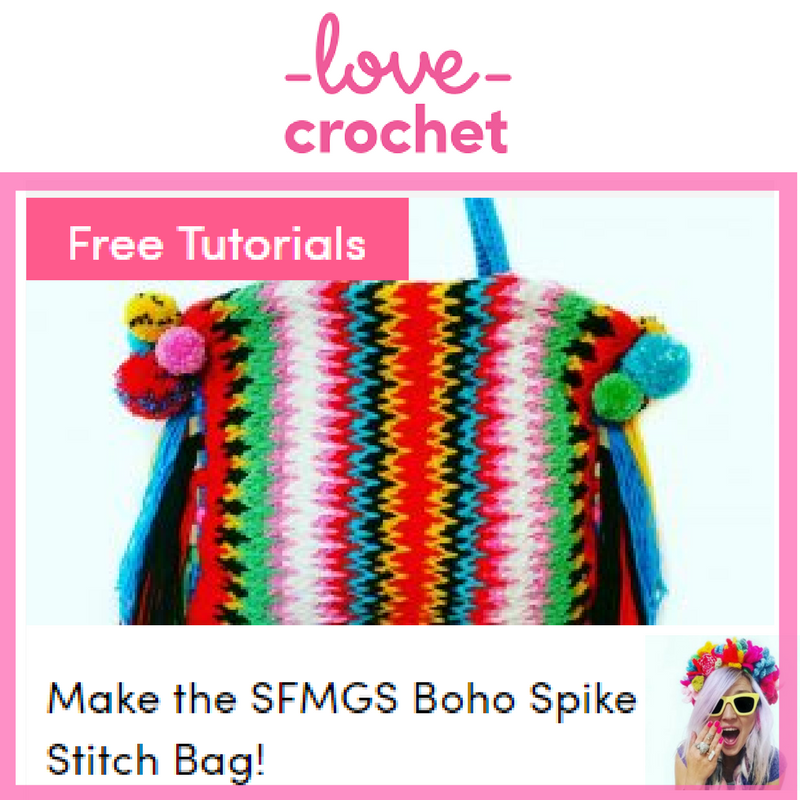 I designed this bag for lovely Heather @hgdesigncrochet who's been going through a tough time lately and t's everything she is - pretty, fierce and full of vitality. 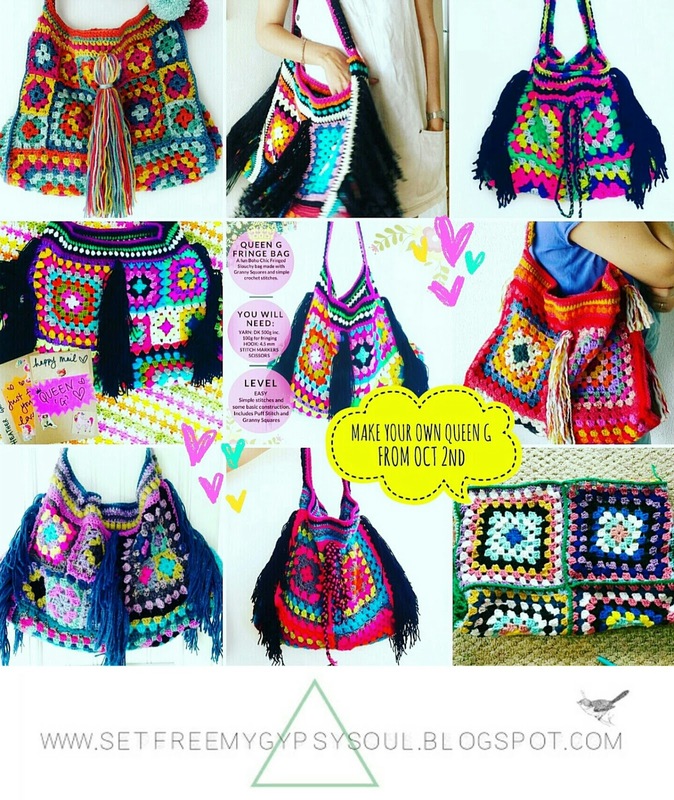 You can make your own Boho Girl Warrior Queen G bag by heading over to my Etsy shop for the pattern from TODAY OCT 2nd! 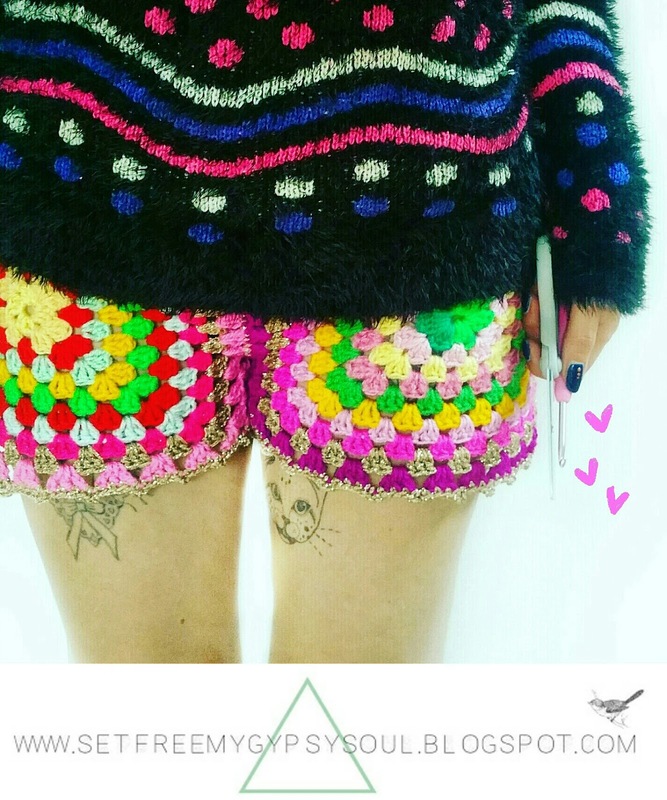 One of my favourite makes ever also came in September... crochet shorts!! 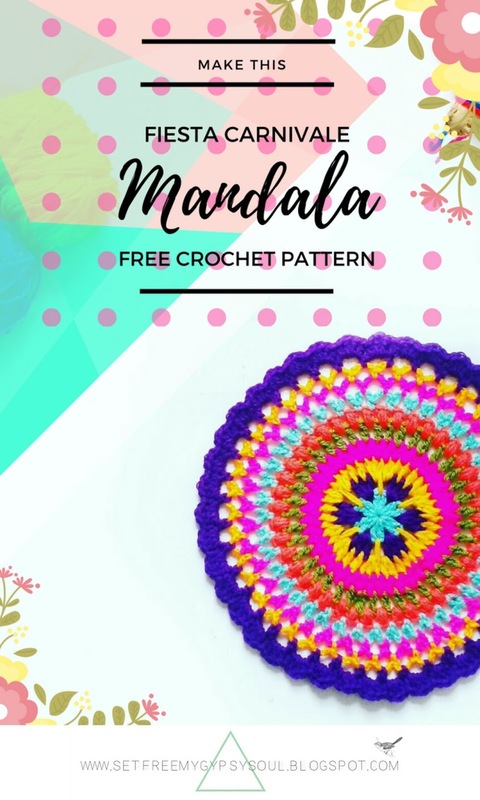 These are so fun to make and so comfy and cosy... make your own by clicking here for the free pattern and tutorial! So many amazing versions already popping up on Insta under the tag #SFMGSshorts and in my tagged pics. In non-crochet news, this month Mr B and I thought we had found THE BOAT of our #PROJECTLIVEABOARD dreams... It was the ultimate project boat...no roof, no innerds, but a big water-tight hull and heaps of potential. We were so excited! 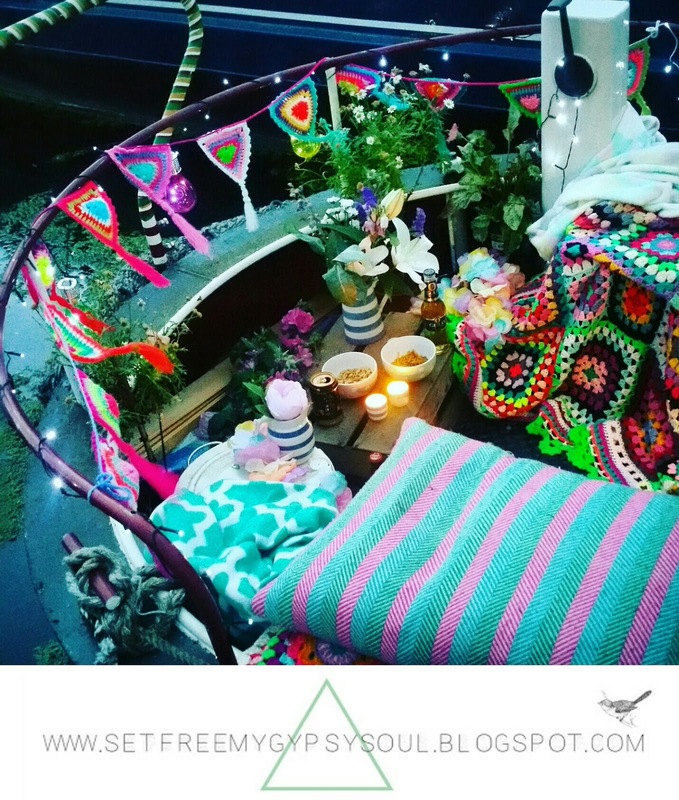 I had arranged a dry-dock, chippie to build the roof and started planing out the space... we went to view armed with our precious pennies and were convinced we would leave boat owners. Sadly, when we got there both our alarm bells were ringing to loud to ignore. Something about the boat and this guy were just not right so we left still landlubbers and a little downhearted. But there is a narrowboat out there somewhere just waiting for us! One last happy note of September was this little bundle of joy... Mollie desperately needed a new home just like my darling Buzz all those years ago and she kinda picked us... for us as a family to be able to give this sweet little mite the home and love she needed and to help eachother grow and heal is a truly amazing thing. She is such a sweet girl and bringing back the house to life more and more every minute! 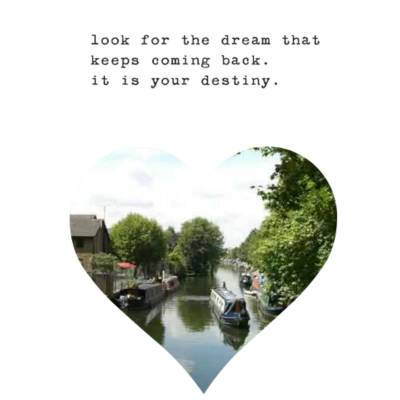 I'm pretty glad to be leaving September behind and looking forward to all the exciting things that will be happening in October... things to look forward to include 5000+ followers on Insta which blows my mind!! 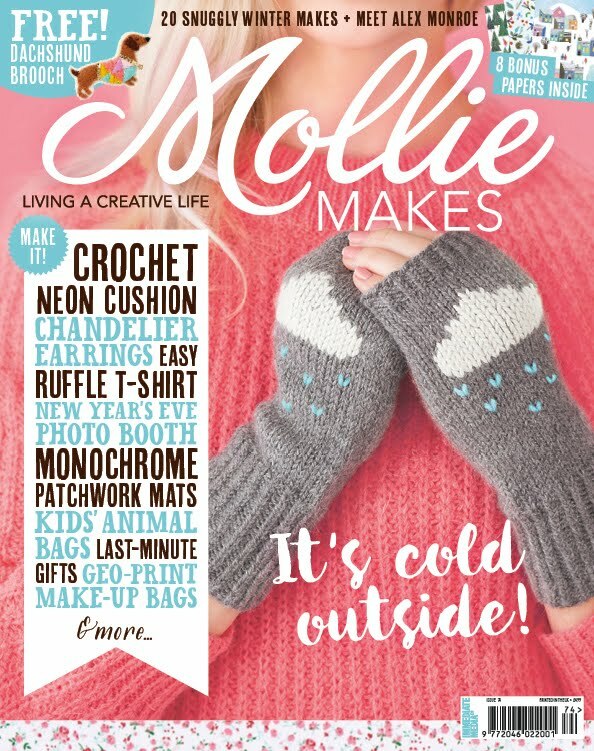 Also, that +Hobbycraft Q and A feature, Halloween patterns and goodies, cosy crochet and something SO BIG AND AMAZING everytime I think about it I could laugh, cry and squeal all at once! !